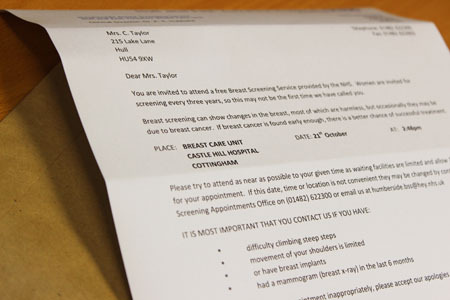 If you are aged between 50-70, you will receive an invitation for breast screening once every 3 years. You will receive your first invite before your 53rd birthday and your last invite will be with you before your 74th birthday. Your invitation letter will contain a time, date and location for your appointment. If you can’t attend, if you’ve missed an appointment or if you don’t want to attend you can change it.